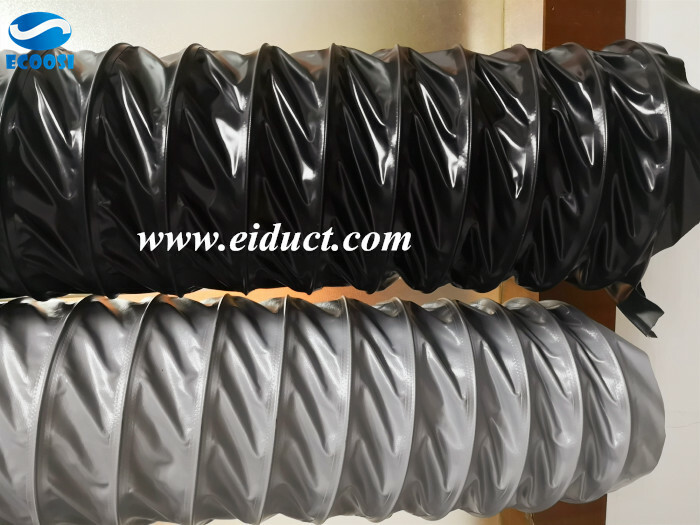 Ecoosi PVC flexible fabric lightweight air duct hose proof spark for welding fumes, this PVC lightweight flexible air duct hose is made by flame retardant polyester fabric with spring steel intagrated in the wall. 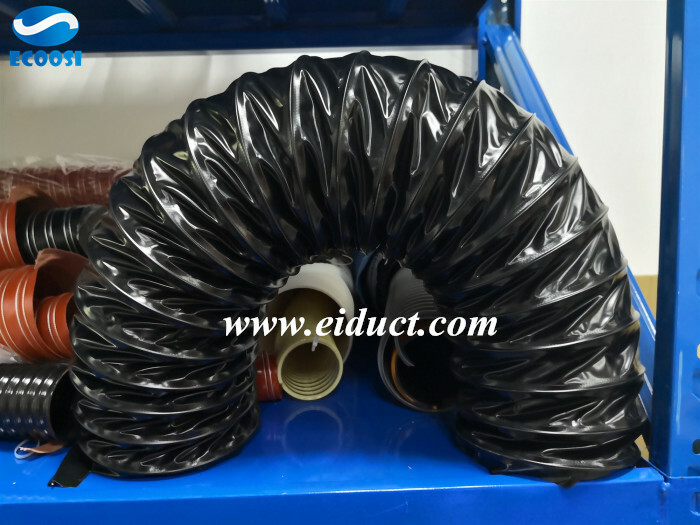 Ecoosi fume exhaust duct hose could handle working temperature range from –20℃ to ＋120℃, standard length is 10 meter each roll, size range from 51mm to 400mm. 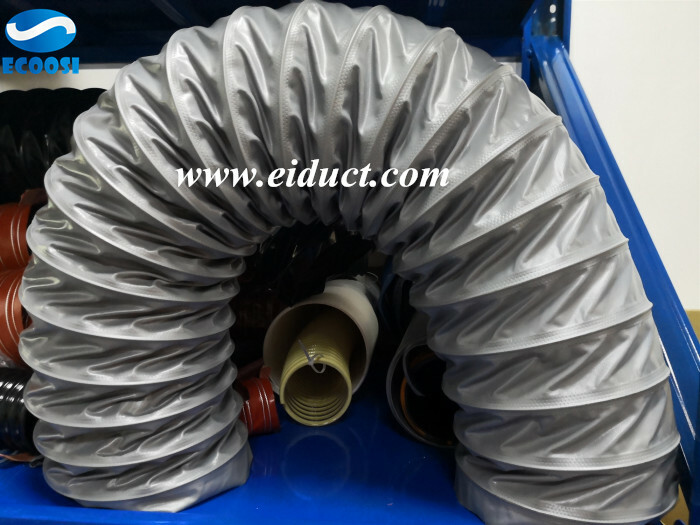 If any interests in our PVC flexible fabric lightweight air duct hose please feel free to contact us through email: info@eiduct.com or Mobile(WhatsApp): 00-86-136-5140-9056, we are always here to satisfy your requirement! 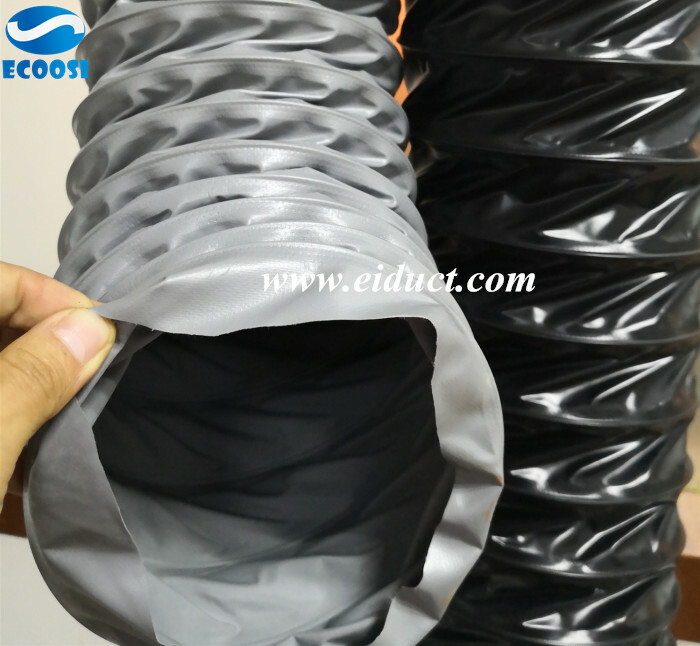 Pre：What is the applications of Ecoosi High temperature silicone 2 Ply air duct flexible hose? Next：What is the advantages of PVC plastic hose, PVC industrial hose, PVC spiral hose?